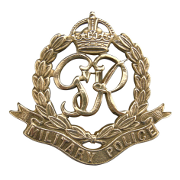 Notes: HE WAS BORN IN CHESHIRE AND RESIDED IN CHESTER AND FORMERLY SERVED IN THE ROYAL TANK REGT. 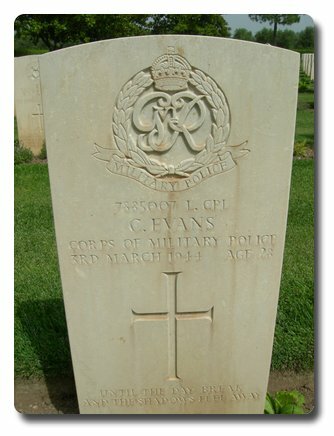 3/3/44 7885007 L/CPL EVANS C FOUND DEAD IN COMPANY HQ BILLET, EVIDENCE POINTS TO SUICIDE. COURT OF INQUIRY TO BE HELD. DEATH DUE TO SUICIDE WHILE MIND DE-RANGED. UNIT WAR DIARY WO170/3551. INSCRIPTION ON GRAVESTONE: UNTIL THE DAY BREAK AND THE SHADOWS FLEE AWAY.